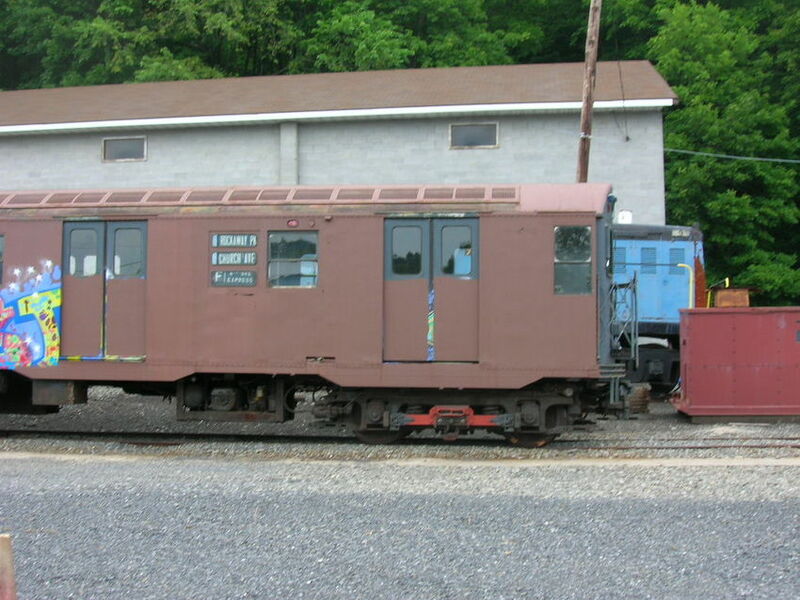 OLD BMT R16 Car 6398 is getting a full renovation as it sits in the old Ulster & Deleware Railyard now operated by the Trolley Museum of New York. The car is operational but it is in the process of having the outside and inside rebuilt. Photographed by Travis Rapp, July 2, 2006. Added to the photo archive by Travis Rapp, July 5, 2006. Railroad: Trolley Museum of New York.